Mr. Trump is certainly not the first golfer in the White House — 16 of the last 19 presidents have been golfers, including Barack Obama, who played 333 rounds of golf, according to a count by Mark Knoller, a CBS News reporter who maintains such data. But Mr. Obama’s most frequent golf venue was Joint Base Andrews, not a collection of golf courses he owns, where membership initiation fees hit as high as $250,000. 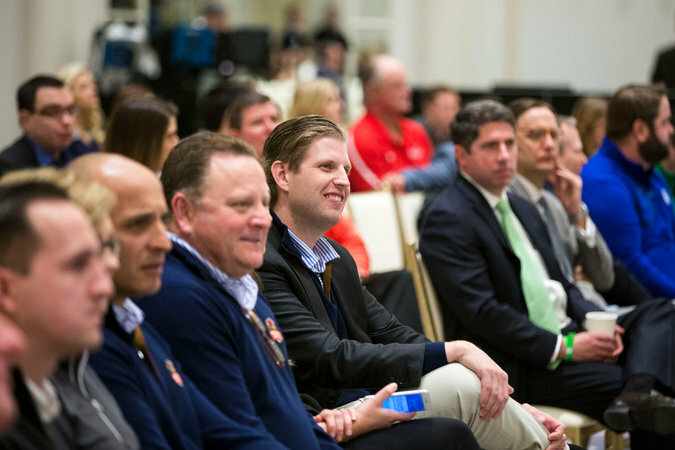 Eric Trump, center, during a news conference to announce that the KitchenAid Senior PGA Championship would be held at Trump National Golf Club in suburban Washington.